We eat a lot of fruit here at my house, which I buy in fairly large quantities each week at the grocery store. But when the bananas start getting all brown and spotty- suddenly no one wants to eat them! So what's a Mom to do? Why make the world's best homemade banana bread ever- of course! It's one of our favorite breakfast recipes! Picky kids! But fear not- I've found the perfect way to use those spotty, slightly mushy bananas- one that leads to all kinds of deliciousness! Put your two ripe (or even overripe) bananas in your mixing bowl and using a potato masher, mash them all up until they are nice and gooey. 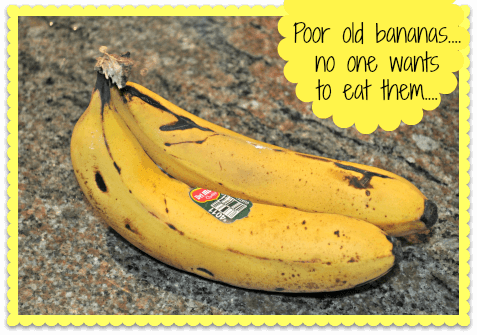 Trust me- you'll never throw away another over-ripe banana again! 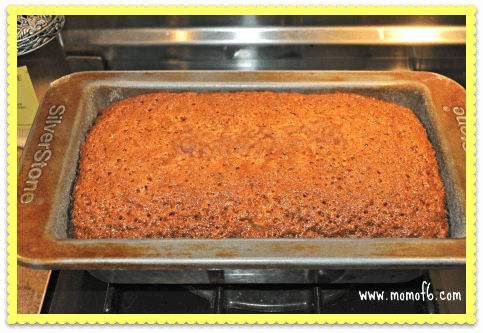 The Best Homemade Banana Bread Ever! This homemade banana bread is a delicious breakfast treat, and the best way to use those overripe bananas! Preheat your oven to 325°F. Grease and flour a loaf pan. 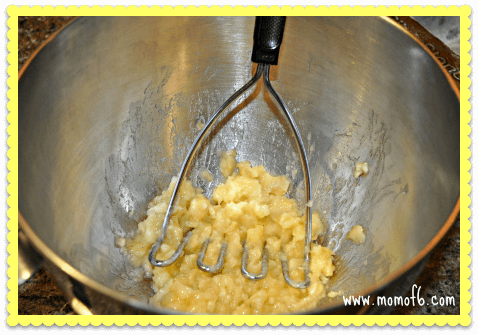 Put your two bananas in your mixing bowl and using a potato masher, mash them all up until they are nice and gooey. All all of the remaining ingredients into your mixing bowl and combine well (you can use either a mixer or you can do this by hand). Bake until top is golden brown- about 1 hour and 20 minutes. « 6 Mail Organizer Ideas! 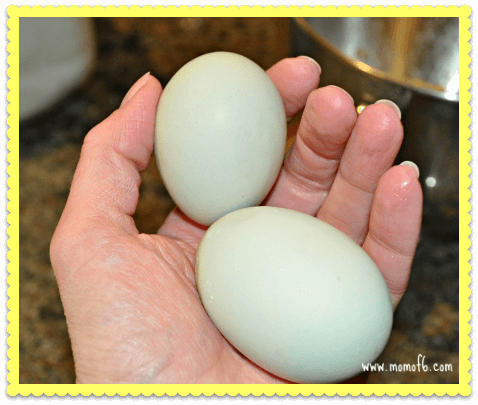 Easter Egg Chickens, who knew! It’s about banana bread time of year for us and thanks for sharing this at Celebrate Your Story. 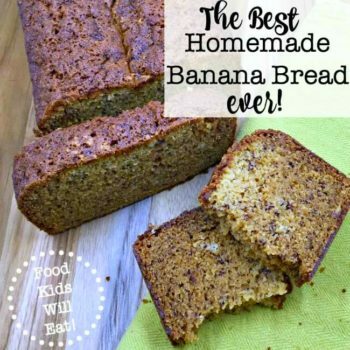 Banana bread is the best– yours looks absolutely delicious! 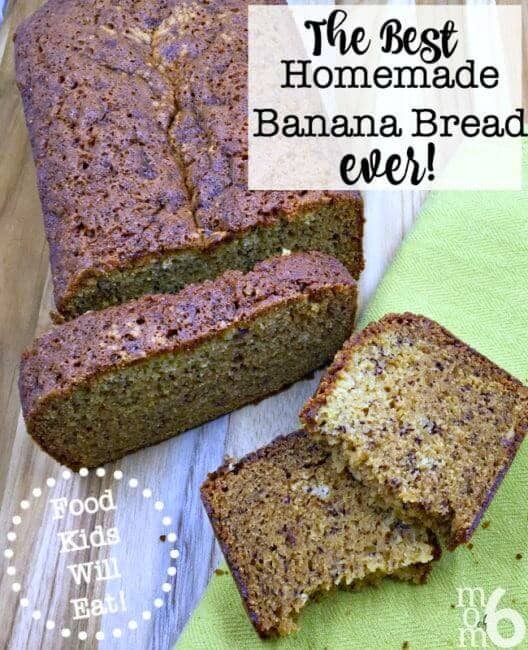 Wow, banana bread is my favorite! Thanks for sharing. Thanks for the great link up Marie!